Ever got confused looking at the terms S&P-500 JUNE FUTURES, NIFTY12MAY 5100 CE, etc? Ever wondered what are forward contracts, call options, put options? Well, these are nothing but derivative instruments traded in the financial markets. It is a form of deferred credit. These exist for stocks, indices, commodities, currencies, interest rates, weather ( yes, it is WEATHER ), freight to name a few. The world's oldest derivative is said to be rice futures traded at Dojima Rice Exchange in Japan. As the name suggests, derivatives are instruments which derive their value from underlying instruments which can be stocks, indices, currencies, etc. Now look at these figures to see what derivatives are capable of and why Warren Buffet says: DERIVATIVES ARE FINANCIAL WEAPONS OF MASS DESTRUCTION. AIG lost $18 billions in Credit Default Swaps. Societe Generale lost $7.2 billions in January 2008. Amaranth Advisors lost $6.4 billions in September 2006. LTCM lost $4.2 billions in 1998. These are just a few examples of what derivatives can do. But, there is also a good side to it. Derivative contracts help a firm to cover the risks associated with the fluctuations in different rates which can hamper their budgets, forecasts and thus help prevent losses due to these at a reasonable 'Hedging Cost'. Before we go into the explanation, let us understand a few terms and types of derivative contracts. FORWARDS: It is a custom made contract between 2 parties to make payments in future at a specified date at today's pre-determined price. 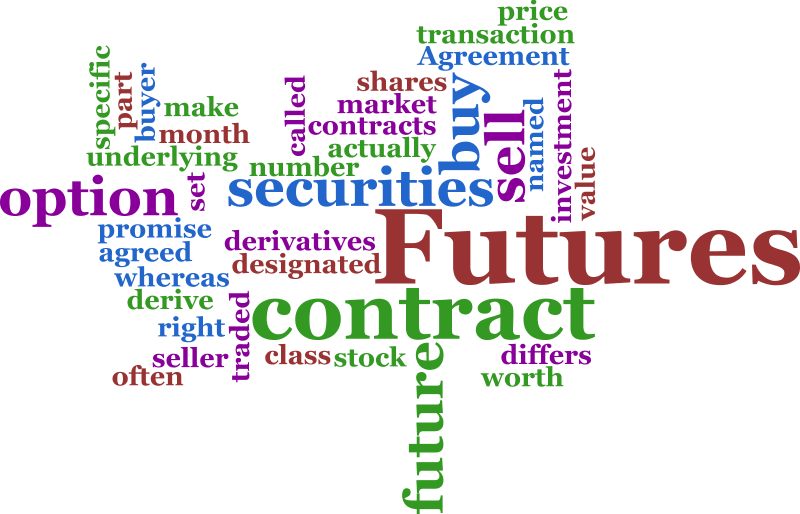 FUTURES: It is a contract to BUY or SELL an asset on or before a future date at a price specified today. OPTIONS: It is a contract that gives the owner the right but not obligation to buy ( in case of call ) or sell ( in case of put ) an asset at a pre-determined price known as STRIKE PRICE. The date is specified in the contract. SWAPS: These are contracts to exchange cash on or before a specified date in future based on the underlying value of the stock, currency, bond, etc. Now, to make it simple, here is a very basic example explaining FUTURE CONTRACTS. Consider a stock ABC trading at 100 on the Stock exchange in the month of may. This is the SPOT price. Now consider its future contract for the month of june trading at 101. You can buy either on spot or on future. Now, one lot of the future contract consists of 1000 shares. So, one lot costs: 101,000. But, to buy it, you need to pay just a small % of the total cost. Suppose you need to pay 10%, so one lot now costs you just 10,100. Now, to buy the same amount of shares on spot price, you need 100,000 ( 100 x 1000 ). SPOT: 1000 x 5 = 5000. FUTURE: 9000 x 5 = 45,000. Saw the difference? With the derivative contract, the same amount of investment gave you 9 times the profit you could make in the SPOT MARKET! That's the magic of "Leverage". But before you jump into the derivatives market reading this article just till here, WAIT. Now consider the price moves down to 95, futures trading at 96. Nearly half your capital is eroded in just a 5% downside. Some argue that options are safer than futures as they have limited downside. Before proceeding, let us look into the basic 2 types of option contracts. CALL Option: It is the right to buy the underlying instrument at a pre-determined price at a specified future date. PUT Option: It is the right to sell the underlying instrument at a pre-determined price at a specified future date. The "right" comes with a price known as premium. People buying calls are bullish on the instrument's price while people buying puts expect a fall in the price. Now, imagine that it is discovered that the land is under some legal dispute and the market value of the land falls from 100,000 to 50,000. As you have the right but no an obligation to buy the land, you decide to forfeit the contract. As a result you lose just the 3000 you paid as the contract price. This, is the magic of options. It protects you from a severe price movement that could affect you. But option trading needs a lot of calculations, study and time devotion as it involves a lot of complexities and strategies. Actually , It is a elegant and informational website about financial market.It is a very useful for us. So, I like it very much. Many many thanks for make this website. If you want more informastion about stock watch to visit stock watch Keeping a stock watch list can be a critical for a trader. There are many different reasons why statement is true. First things first, what exactly is a stock watch list? This is a list of stocks that you feel are good strong companies for whatever reason. It may be that these companies have strong earnings and the company itself is a good investment. Many new investors only purchase places or calls as a more economical solution to theorize on the move of a stock, but with no suitable knowledge of investor will most likely find yourself losing cash investing and how option spread trading are priced.